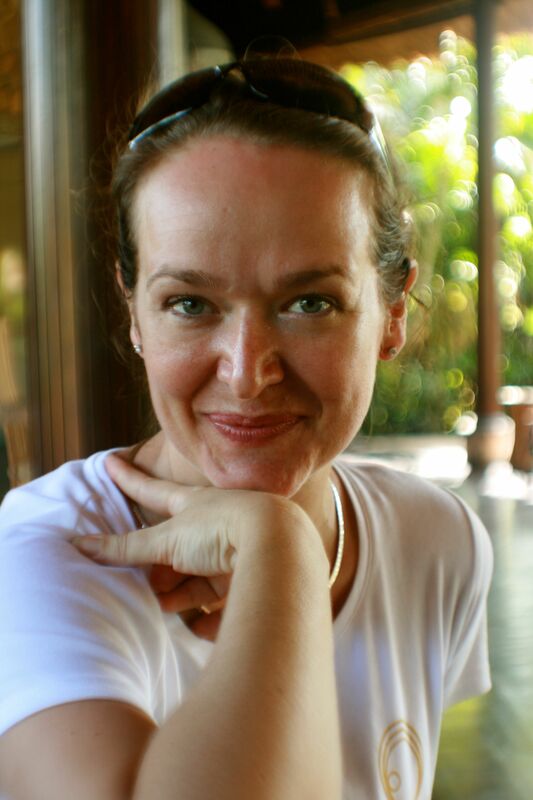 Founder of the KPY studio, Kate was born and raised in South Africa before moving to the United Kingdom for eight years. In 2000 Kate became ill and was diagnosed with Systemic Lupus and Fibromyalgia, which virtually rendered her bed-ridden for the better part of four years and was unable to continue working. After moving to the East Coast of Singapore in 2005, Kate turned to yoga. 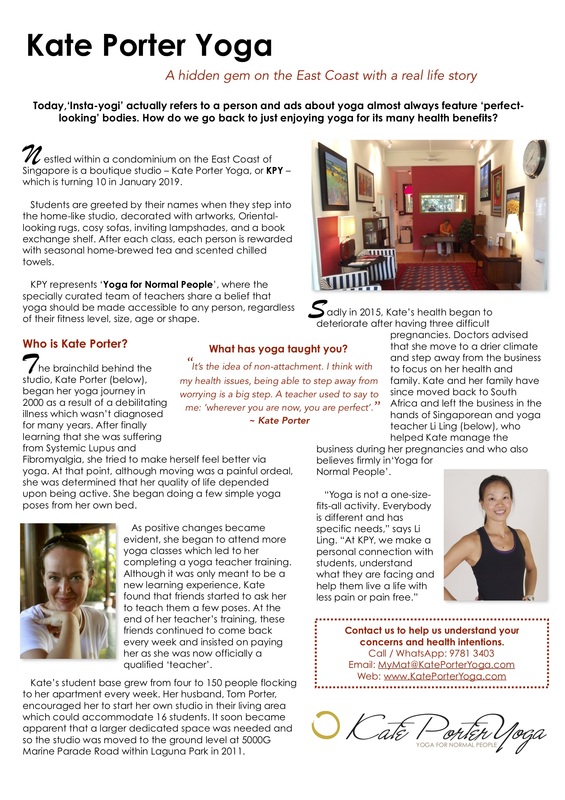 Yoga was instrumental in helping Kate regain and maintain her health. Having begun yoga with significant physical restrictions, Kate believes that yoga is a great tool for everyone to feel and get better and it is with this belief that she set up the studio. In 2015, after 6 years in the business and two children, she decided to sell the KPY business to focus on other priorities in her life – family and health. The business is now owned by Li Ling, who joined her teaching team in 2012 and subsequently helped run the operations in 2013. Today, Li Ling continues to run the studio keeping the initial spirit in which Kate wanted the business to be – Yoga for Normal People, for everyone, for every body. Kate, her husband Tom, and her two beautiful children have moved back to South Africa in March 2016 to be nearer to her family. But this is not goodbye, she says, as she will come back to Singapore from time to time and we will see her on the mat at KPY again. Read about the full story of KPY below.